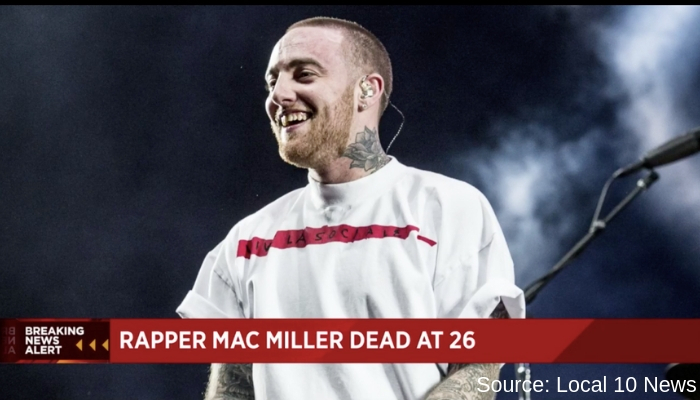 Rapper and producer Mac Miller, age 26, has been found dead from an apparent drug overdose by the Los Angeles Police department yesterday at his home. Authorities have not yet released the substance that caused his premature death. Yesterday afternoon police responded to a 911 call for a death investigation on 11600 block of Valley Crest Road just before lunchtime. Miller was found in a bedroom at his San Fernando Valley home and was pronounced dead at the scene. The coroner’s office is still investigating according to county police officials. The cops were alerted by a male friend who placed a 911 call from Miller’s house. The emergency dispatch audio reveals first responders were called for a patient in cardiac arrest after suffering an apparent drug overdose. The rapper, whose real name is Malcolm McCormick, began his journey in music from a young age. As a teenager, he was putting out mixtapes in his local Pittsburgh neighborhoods. In 2012, his first album, “Blue Slide Park,” became the first independent debut album to hit the top of the Billboard chart in more than 16 years, Miller was 19. Mac was set to perform his “ Swimming” album tour in late October, with the opening taking place at the Greek Theater in Los Angeles. The personal life of Mac Miller was made very public when he began to date Ariana Grande, a relationship would last for almost two years. The couple recorded multiple songs together which included,“ My Favorite Part” and the “ Way”, but the relationship would end in May of this year. Mac has suffered from drug abuse for years now, resurfacing when his ex Ariana Grande left him. Just months ago in May, the rapper wrecked his G-Wagon by wrapping it around a pole and would later be arrested for a DUI and hit and run. Mac fled the scene of the accident but later confessed at his home blowing 2 times the legal limit. Shortly after the breakup, Grande started to date Saturday Night Live star Pete Davidson, and just a few weeks later would announce their engagement. Many blamed Grande for his actions, but she later told the public, “I am not a babysitter or a mother and no woman should feel that they need to be. I have cared for him and tried to support his sobriety & prayed for his balance for years.”. Ariana also shared that she never really shared the extent of how far his drug abuse went because she was scared of them. In an article that was released just a day before his death, Miller said, “I used to rap super openly about really dark sh– because that’s what I was experiencing at the time. That’s fine, that’s good, that’s life. It should be all the emotions.”He was known for expressing his hardships in his music.